Preservation Archivist Natalie Shilstut collects environmental data from a PEM2 data logger located in the Society's Rare Book Vault. This year, the Presbyterian Historical Society is celebrating Preservation Week  in a big way—we’ve just launched our first environmental monitoring program! Sixteen Preservation Environment Monitor (PEM2)  data loggers now permanently collect temperature and relative humidity data in all of our collection spaces. Collecting and analyzing environmental data is the first step to ensuring the permanence of our historic collections. This new program was made possible through the Conservation Center for Art and Historic Artifacts’ Philadelphia Stewardship Program , funded in part by the William Penn Foundation . 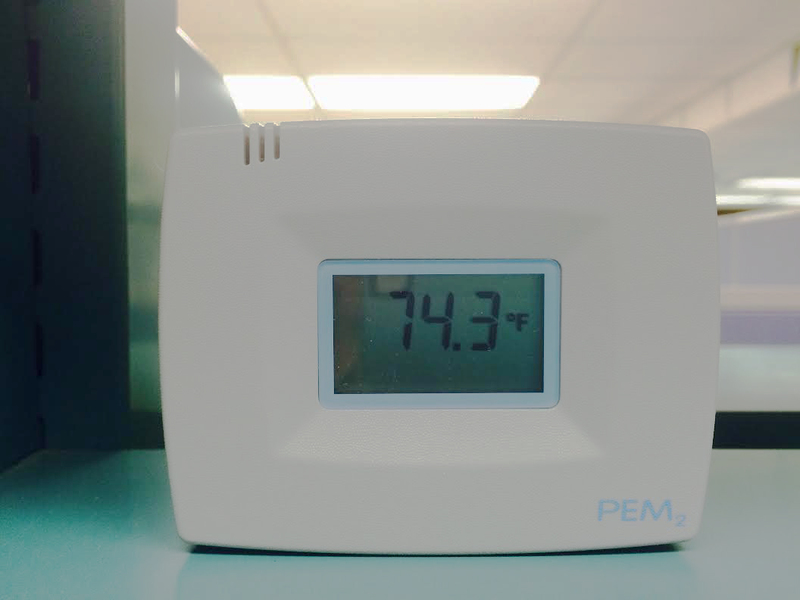 A PEM2 data logger displays a live temperature reading. PEM2 data loggers record temperature and relative humidity data at five minute intervals, averaging these readings into a fixed sample rate of 30 minutes. The impact of proper climate control on collections preservation is huge, but it can be difficult and costly for budget-strapped cultural institutions to achieve. Monitoring the environment is the first step in determining what problems you have in order to take action to improve deficiencies. Different types of materials—paper, oil paintings, film, wooden furniture—prefer different environmental settings to slow their deterioration, but generally, high temperatures and extreme fluctuations in humidity will shorten the life of all collection items. Color photographs and acetate and nitrate film-bases require very cold to freezing storage conditions to prevent deterioration, while paper-based items generally benefit from temperatures no higher than 70°F. High temperatures accelerate chemical reactions that cause deterioration, such as yellowing of paper, “vinegar syndrome” in acetate film, and spontaneous combustion in nitrate film. High humidity, generally over 60%, may cause mold to grow, metals to corrode, and encourage pest infestations, while very low humidity, under 20%, will cause materials to become brittle. 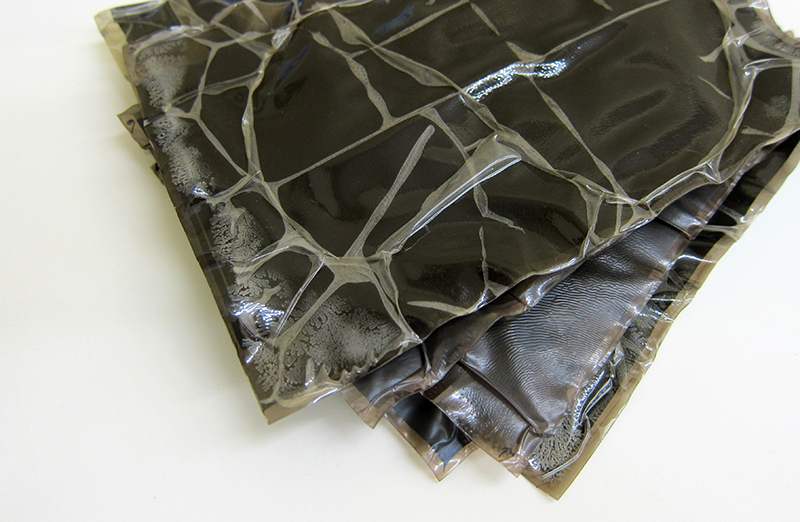 Fluctuating humidity causes materials to retain and release moisture rapidly, often leading to mechanical damage as items expand and contract. Deterioration of acetate photograph negatives caused by "vinegar syndrome" is defined by the characteristic vinegar odor produced by decomposing acetate. This leads to channeling, shrinkage, and brittleness, which can cause irreparable distortion to images. It’s clear preservation is important, but do we need a whole week devoted to its awareness? A 2004 Heritage Health Index survey conducted by Heritage Preservation revealed that “an estimated 1.3 billion collection items are at risk—in need of treatment to be stable enough for use, or in need of improved enclosures or environment to reduce the risk and rate of damage. 190 million artifacts need conservation treatment to address damage.” Read a summary of the shocking statistics here . This April 26th through May 2nd, collecting institutions across the country will be discussing preservation topics and providing free preservation resources to the public. Learn more about the causes of deterioration and how to prevent it and find resources on preservation topics and vendors of preservation supplies here . The Society also offers preservation services  to PC(USA) congregations to help them preserve their official records. Find out about free records storage , discounted digitization services , and annual Heritage Preservation Grants .